According to the Mayo Clinic, prior to the availability of a chickenpox vaccine, 4 million children in the US contracted chickenpox annually. Chickenpox hospitalized nearly 11,000 people and killed 100 people per year. Since the introduction of a vaccine in 1995, cases of chickenpox have plummeted dramatically. Yet a new study indicates that the chickenpox virus has now been potentially linked as a protector against a particular skin condition and even asthma, calling into question the issue of recommended vaccination. A recent study published in the August 2010 edition of the The Journal of Allergy and Clinical Immunology, claims to have revealed that children exposed to VZV or the varicella vaccine may be less likely to develop or be diagnosed with atopic dermatitis (AD or eczema) and asthma in later years than children not exposed to the disease. The study, an "Association Between Varicella Zoster Virus Infection and Atopic Dermatitis in Early and Late Childhood: A Case-Control Study" by Dr. Jonathan I. Silverberg et al, concluded that Wild-type varicella zoster virus infection, "WTVZV, in childhood protects up to 10 years of age against AD and delays onset of AD symptoms, and decreases AD severity and office visits." The results of the study now call into question the benefits of vaccinating children against chickenpox, says the American Academy of Allergy Asthma & Immunology, (AAAAI), the official publisher of the journal, who alleges that "The chicken pox vaccine (Varivax TM) is likely unable to confer the strong protective immunological benefits against development of AD that an actual case of chicken pox gives." Furthermore, claims the AAAAI, the vaccine, could be the "Contributing factor in the rising prevalence of AD over the past few decades." Should Parents Reconsider the Chickenpox Vaccine for Their Children? No vaccine ever has a 100% success rate, so in light of this latest study, should parents reconsider having their children vaccinated against chickenpox? According to Genevra Pittman of Reuters Health, vaccine experts are concerned about Dr. Silverman's study due to its limited scope. CDC virus expert Jane Seward told Pittman, "We're seeing very, very significant declines in deaths and hospitalizations" from chickenpox, she said. "A single study with a single finding is interesting, but it needs ... more evidence." 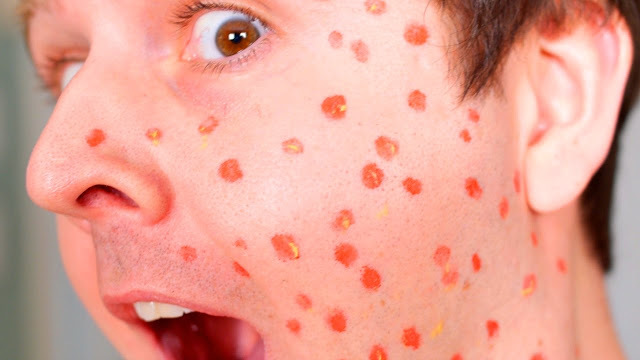 Pittman's article, "Does Chickenpox Protect Against Skin Condition?" published on August 4, 2010, cites further expert sources who caution parents against acting rashly in regard to one result. Experts instead propose further studies at the national level for a more representative result upon which an alternate recommendation (if required) can then be made. Certainly there are benefits and negatives to both the chickenpox vaccination and to the disease itself. Complications of VZV according to the American Academy of Pediatrics include infection (from blister scratching); pneumonia, encephalitis and a risk of death for people with impaired immunity. If Dr. Silverman's study withstands further comprehensive testing, however, VZV exposure could prevent a future diagnosis of both AD and asthma for children. The CDC claims that the vaccine for chickenpox is safer than the actual disease itself and that few suffer side effect symptoms from the vaccination. Furthermore, the vaccine can prevent the painful condition known as shingles, caused by the reactivation of the VZ virus which remains dormant in the system after exposure. Of those that have reactions, the CDC says, most are mild and include, soreness and swelling at the shot sight and a fever or a mild rash. Severe reactions to the chickenpox vaccination include seizures or pneumonia, with seizures (according to the CDC), being more prevalent in the MMRV vaccine given to children and adults aged 12 years and older. Parents unsure of their decision to vaccinate should always carefully research the pros and cons of vaccination before making any informed decision.